We’ve heard from members of The Australian Ceramics Association about how they struggle with approaching local, state or federal government members and other bureaucrats, so we’ve put together a letter which outlines some suggested approaches. PART 1: INTRODUCTION – This is a brief description of who you are and why this government representative should show an interest in you. It is important to include where you live. 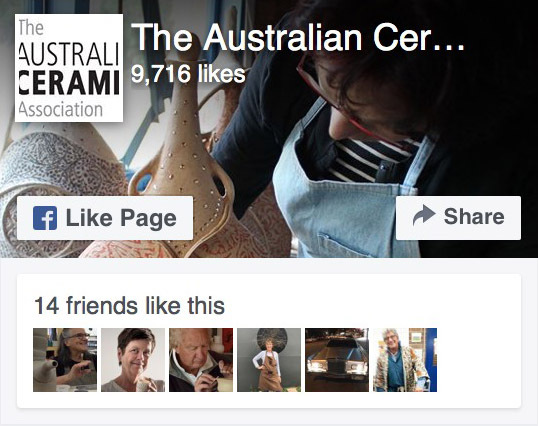 My name is … and I am a ceramicist. My studio is in … . [handmade ceramics, tableware, handbuilt sculpture, public art projects etc.]. I moved to the area in … and set up my studio. In the years since then I have been involved in [community projects/open studios/local markets/teaching children’s groups]. PART 2: SUGGESTIONS – This is the area of the letter where you make suggestions as to how the person could use your special skills, products and services. Be clear as many people have little or no experience with artists and craftspeople and this may be the first time such an idea has been presented to them i.e. that they could use the skills of a local maker in their professional occupation. I would love to work with [local/state/federal government to produce a line of tableware for the local council/site-specific sculpture for a local park/a clay-based project involving the local community]. PART 3: BENEFITS – This is the section of the letter where you have to connect your work to the mission statement of your local council or the key project areas of the government department you are approaching. Using the language that the department has used on their website could be helpful. This project will support professional arts workers by promoting their work through [film/online/local events]. This project will bring economic benefits to the community and increased cultural capital by drawing attention to the diversity and creativity of small business in the area. There is significant attention now on movements like ‘be local/buy local’ and the ‘slow’ movement where products are sourced from as near as possible [suggest the benefits of the government agency being able to make gifts to visitors that have been made by local artists/ have local content/have local arts/crafts on display]. PART 4: FINISH – Round up with a short paragraph about the satisfaction of being a craftsperson and what you feel your craft can bring to the community. A letter such as this cannot work alone. Rather it must be a part of a larger campaign for recognition and employment opportunities. Keep an eye on the local media and attend some functions where you have an opportunity to introduce yourself to the person you have approached. Follow up with invitations to events such as exhibition openings and open studios. Sometimes a brief follow-up phone call to the office of your representative can be useful. The office staff are often the people who suggest what the councillor/senator/minister pays attention to. Sending exhibition invitations to office staff can be helpful. Things like this can simmer away in the background for a long time so look at this as a long-term project rather than something that yields immediate results. Please let us know what you think of the approach outline above. If you try this approach, let us know how it worked for you.